Like a lot of folks right now in this country, I’m eager for warmer weather and some spring. 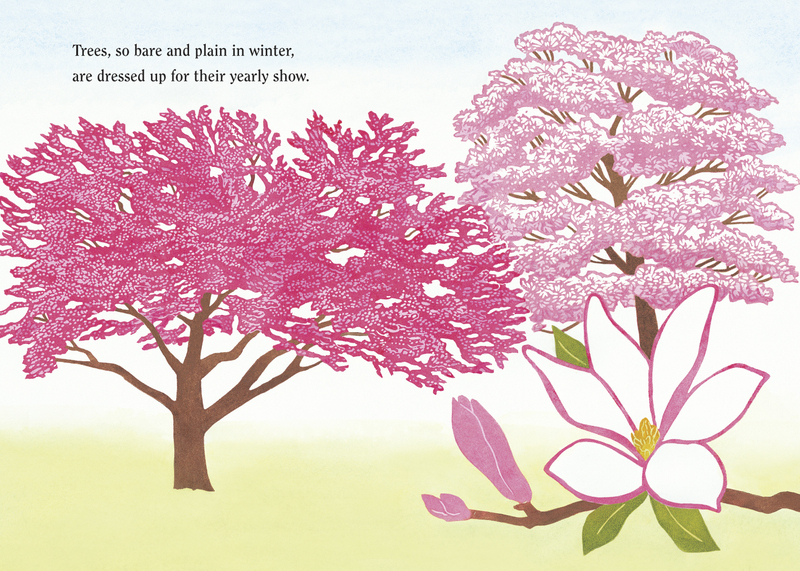 And since it is officially spring, I can’t help but share some art from Spring Blossoms (Charlesbridge, February 2013), written by author and poet Carole Gerber and illustrated by Leslie Evans. And Leslie’s popping in today to say a bit about the illustrations. 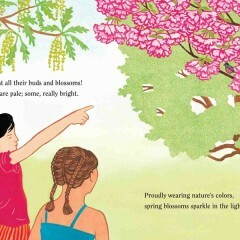 This picture book comes from the two women who also created Winter Trees and Leaf Jumpers, as Leslie mentions below. In fact, Winter Trees was featured here at 7-Imp way back in 2008. 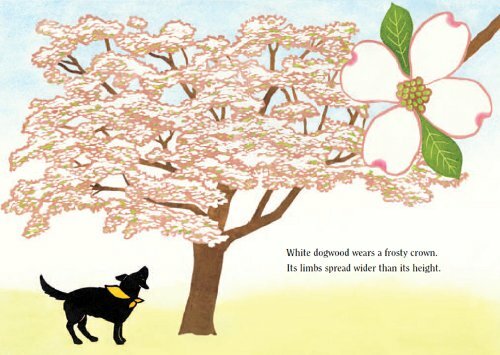 In Spring Blossoms, readers follow two young girls and a dog through Gerber’s rhyming text as they celebrate Spring “bursting out all over” and the warm weather. 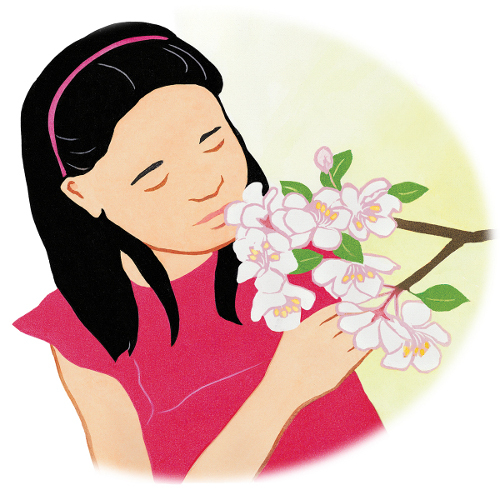 The girls are running and playing outdoors, admiring the trees’ blossoms. They stop to appreciate what they see, including white dogwoods, crab apples, white pines, red maples, and more. 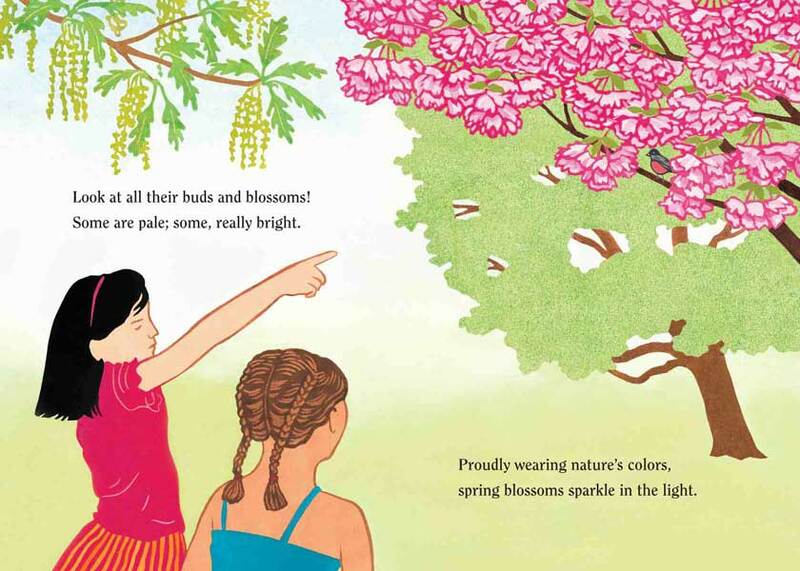 Leslie: “As with the previous books in this series, Leaf Jumpers and Winter Trees, the illustrations in Spring Blossoms are a combination of hand-colored linoleum block print, collage, and digital. I used a more traditional approach in my previous series of seasonal books, beginning with Autumn: An Alphabet Acrostic with poems by Steven Schnur. Those illustrations were black line linocut prints with watercolor and a very graphic look. I didn’t want the heavy black outline around the leaves in the new book, so cut them out as solid shapes and then hand-rolled mixed ink colors directly on the block, using very small brayers for smaller solid areas and lines. As some areas were very detailed and overlapped with many colors, I made several prints and collaged certain elements, such as leaves and blossoms, separately. When I received the scanned art back from my publisher, I also made some digital adjustments to the images. I thank Leslie for visiting (one day I want to have a 7-Imp breakfast interview with her so that we can all see lots more of her art), and here are some more illustrations from the book. Enjoy. 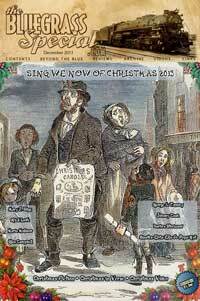 “Look at all their buds and blossoms!/Some are pale; some, really bright. “White dogwood wears a frosty crown. Its limbs spread wider than its height. 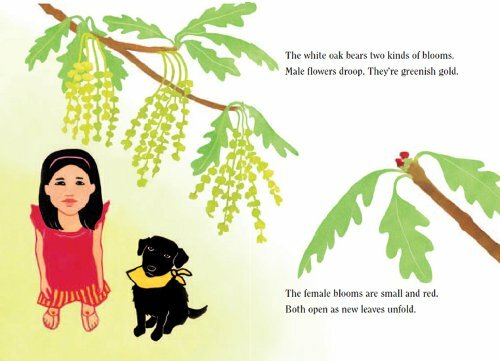 “The white oak bears two kinds of blooms./Male flowers droop. They’re greenish gold. SPRING BLOSSOMS. 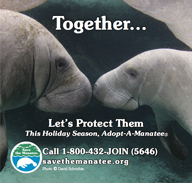 Text copyright © 2013 by Carole Gerber. 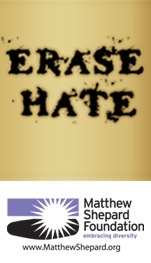 Illustrations copyright © 2013 by Leslie Evans. Spreads reproduced by permission of the publisher, Charlesbridge, Watertown, MA. 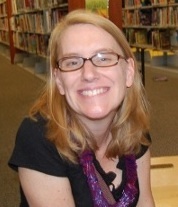 This and many more of Jules’s adventures in books, kids’ lit and illustration can be found at her acclaimed blog, Seven Impossible Things Before Breakfast, where the blog about Komako Sakai was published on May 12, 2013 and the blog about Elisabeth Craster appeared on May 5, 2013. Visit often. It’ll do your body and soul good.